oomph. 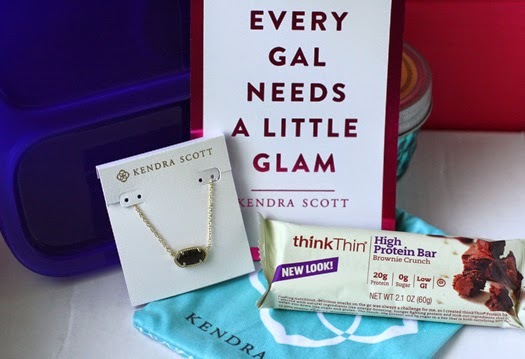 : POPSUGAR Must Have Box. August. 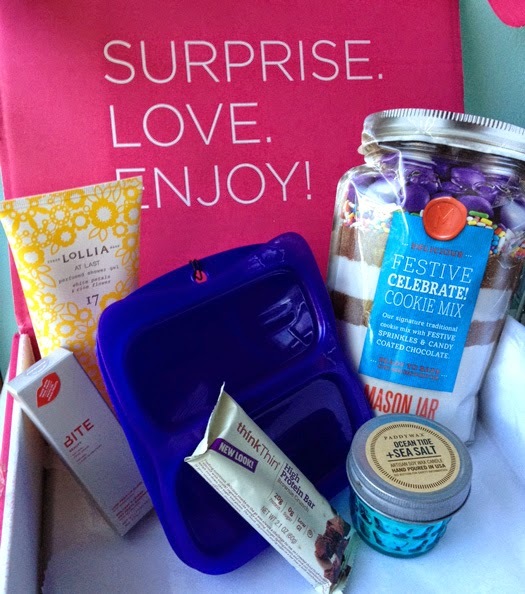 inspired by celebration, summer nights, and sweet smells, i can honestly say that i will enjoy everything in this august box. 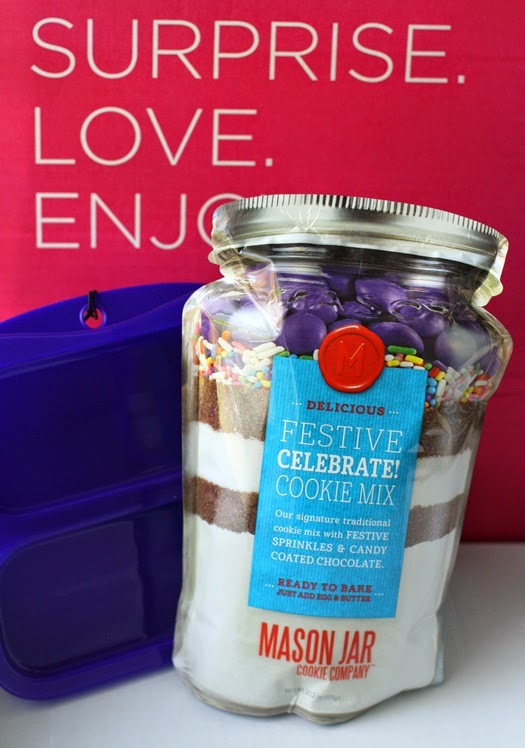 4) The Mason Jar Cookie Company Celebrate! i normally don't indulge in shower gels, so i love receiving them. 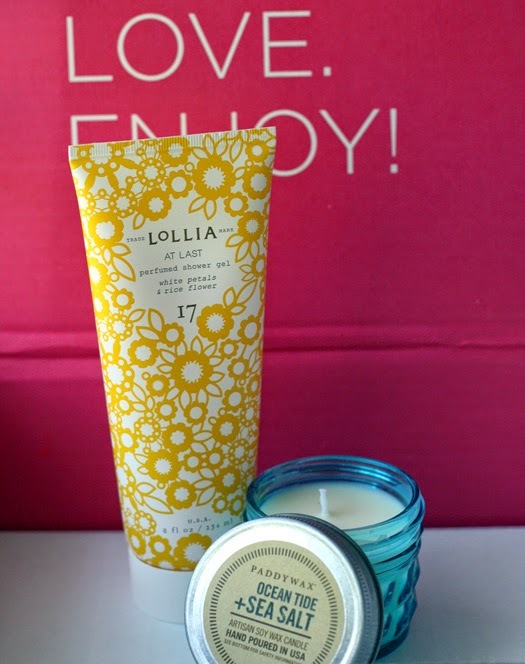 this one from Lollia smells sweet...i can't wait to try it! 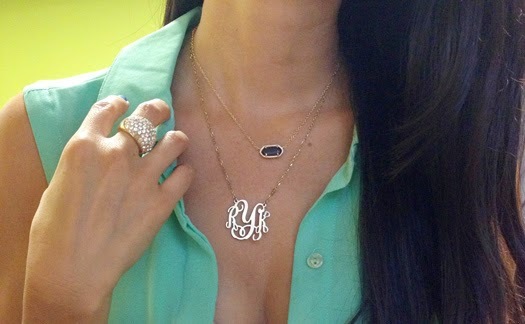 how pretty is this kendra scott necklace? this delicate piece makes a great addition to my collection of necklaces. the dainty black cat's eye adds oomph to a few gold strands. 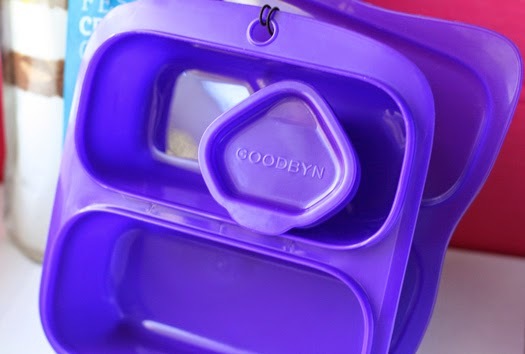 lately, mini-she and i have been fighting over the one lunch container we have, so this one from Goodbyn came at the right time! love the little dipper container...it's perfect for my salad dressings. 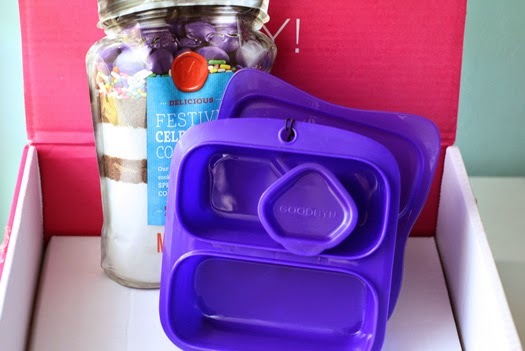 it doesn't get any easier than a ready-to-bake cookie mix! how fun is this Celebrate! mix from The Mason Jar Cookie Company? the minis will love this! 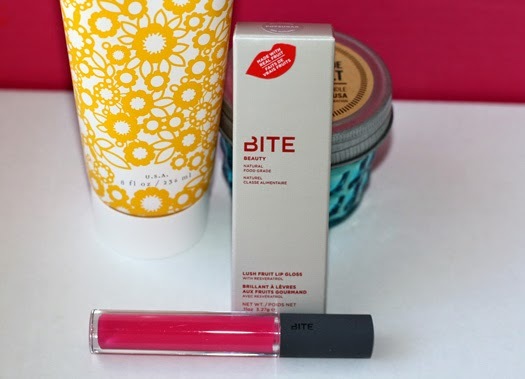 i love Bite Beauty products, so i was ecstatic to find this Bite Beauty lip gloss in my must have box.. this new shade was created just for POPSUGAR Must Have's second birthday. this pretty candle in a jar from Paddywax is definitely one for the vanity. it looks good, smells good, and the blue just reminds you of the ocean. 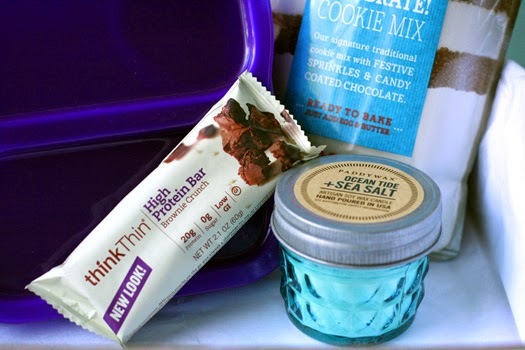 i was happy to find this thinkThin protein bar in my box. i just finished off a box of these and have been loving them as a post-workout snack...every little bit of protein counts! join POPSUGAR Must Have now and save $10 off a 3-month subscription with the code: AUG14SELECT. Cool. I never heard of this before. My surprising love-affair with BirchBox leads me to believe I'd like this. i love that this one has full-sized products. you'd love it, A! worth it for the KS necklace alone! 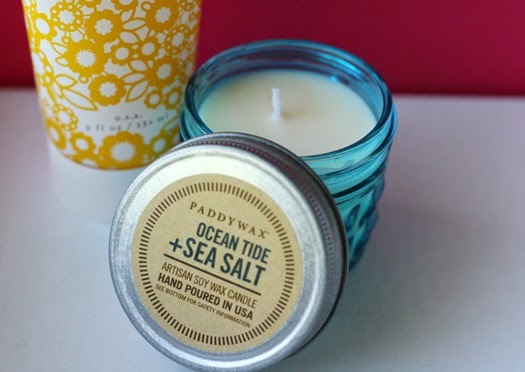 and you know i love a good beachy candle. I love Lollia. My favorite is Wish!